Blowout Sale! 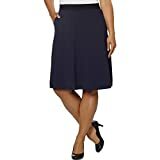 Up to 67% off on Wear to Work at Envy This Stuff. Top brands include Edwards Garment, Calvin Klein, A.F.Y, Ivanka Trump, Popana, HyBrid & Company, Modamix, Doublju, H2H, Calvin & Sally, Sakkas, BCBGMAXAZRIA, TheMogan, Ellen Tracy, Austin Reed, Rekucci, Saiesta, & Velucci. Hurry! Limited time offers. Offers valid only while supplies last.